This uplifting New York Times bestseller reminds us that if we're open to new experiences, life is full of surprises. 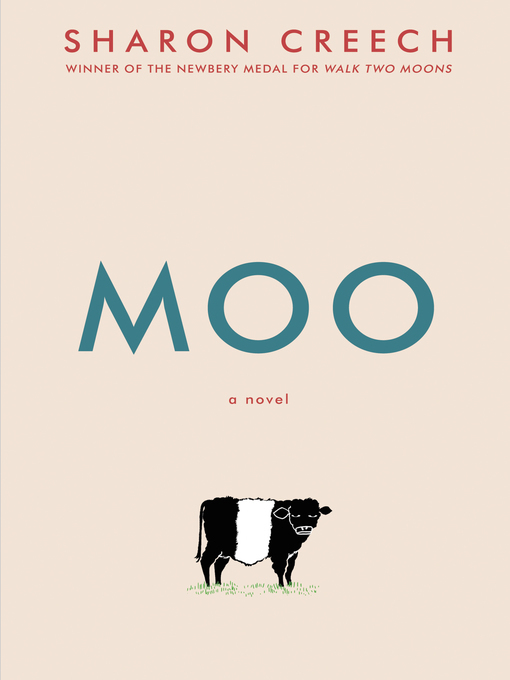 Fans of Newbery Medal winner Sharon Creech's Love That Dog and Hate That Cat will love her newest tween novel, Moo. Following one family's momentous move from the city to rural Maine, an unexpected bond develops between twelve-year-old Reena and one very ornery cow. When Reena, her little brother, Luke, and their parents first move to Maine, Reena doesn't know what to expect. She's ready for beaches, blueberries, and all the lobster she can eat. Instead, her parents "volunteer" Reena and Luke to work for an eccentric neighbor named Mrs. Falala, who has a pig named Paulie, a cat named China, a snake named Edna—and that stubborn cow, Zora.